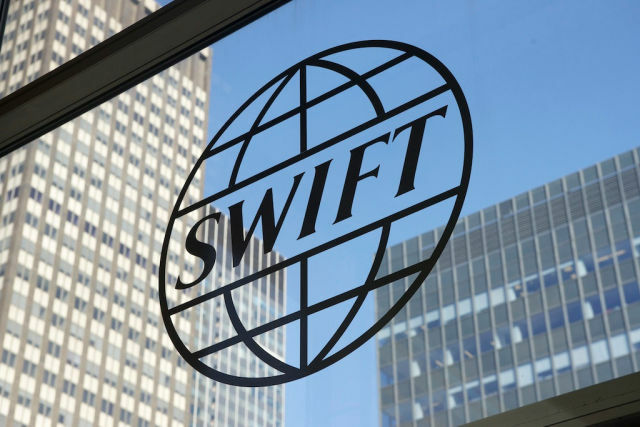 The investigation into the attempted $1 billion electronic heist at the Bangladesh central bank has expanded to as many as 12 more banks that all use the SWIFT payment network. Security firm FireEye, investigating the hack, has been contacted by numerous other banks, including some in New Zealand and the Philippines. While most of the attempted transfers in the original heist were cancelled, some $81 million was sent to the Philippines and subsequently laundered through casinos. The SWIFT organization in a statement said that some of these reports may be false positives, and that banks should rigorously review their computing environments to look for hackers. Symantec, meanwhile, has corroborated earlier claims from BAE Systems that the hackers that stole from the Bangladesh central bank are linked to the hackers that have attacked targets in the US and South Korea since 2009, and that hacked Sony Pictures in 2014. The FBI claimed that those hackers were North Korean. Symantec's rationale is the same as that of BAE; malware found at the bank, Sony, and other victims, all appears to share common code for securely deleting files to cover its tracks. If Microsoft is banning stupid passwords, why does it still allow “Pa$$w0rd1”? As Microsoft pats itself on the back for its crackdown on easily cracked passwords, keep this in mind: a quick check shows users still have plenty of leeway to make poor choices. Like "Pa$$w0rd1" (excluding the quotation marks). 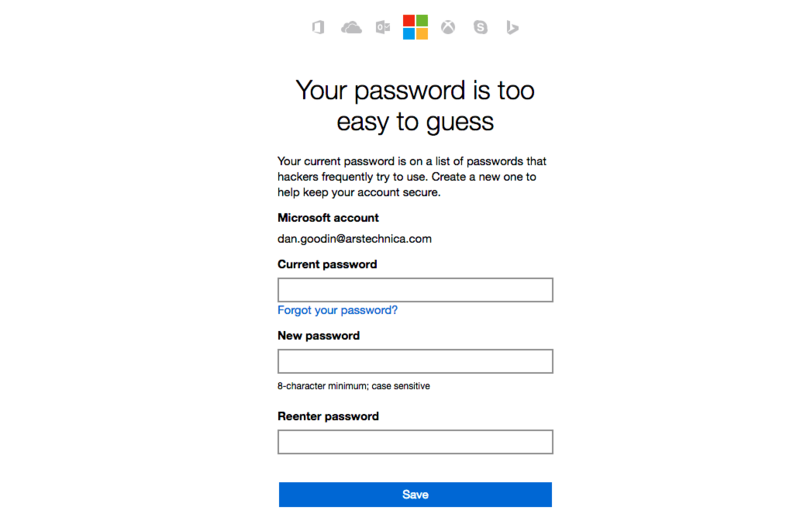 As a Microsoft program manager announced earlier this week, the Microsoft Account Service used to log in to properties such as Xbox Live and OneDrive Azure has been dynamically banning commonly used passwords during the account-creation or password-change processes. Try choosing "12345678," "password," or "letmein"—as millions of people regularly do—and you'll get a prompt telling you to try again. Microsoft is in the process of adding this feature to the Azure Active Directory so enterprise customers using the service can easily stop employees from taking security shortcuts, as well. But a quick check finds it's not hard to get around the ban. To wit: "Pa$$w0rd1" worked just fine. And in fairness to Microsoft, Google permitted the same hopelessly weak choice. 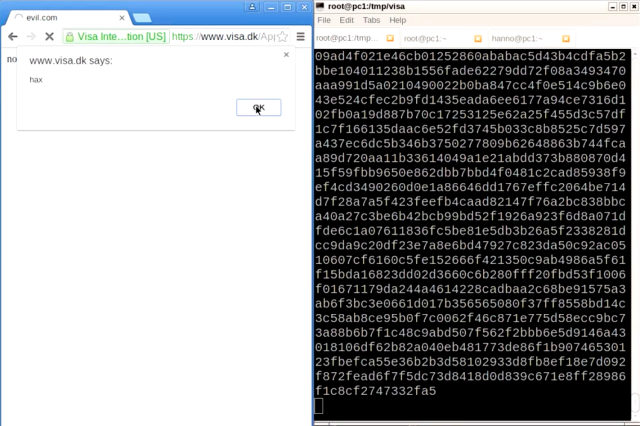 Dozens of HTTPS-protected websites belonging to financial services giant Visa are vulnerable to attacks that allow hackers to inject malicious code and forged content into the browsers of visitors, an international team of researchers has found. In all, 184 servers—some belonging to German stock exchange Deutsche Börse and Polish banking association Zwizek Banków Polskich—were also found to be vulnerable to a decade-old exploit technique cryptographers have dubbed the "forbidden attack." An additional 70,000 webservers were found to be at risk, although the work required to successfully carry out the attack might prove to be prohibitively difficult. The data came from an Internet-wide scan performed in January. 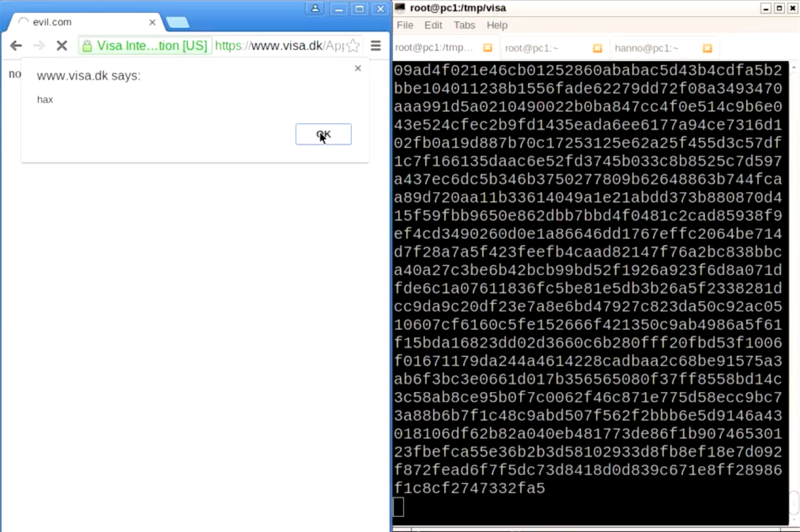 Since then, Deutsche Börse has remedied the problem, but, as of Wednesday, both Visa and Zwizek Banków Polskich have allowed the vulnerability to remain and have yet to respond to any of the researchers' private disclosures. The vulnerability stems from implementations of the transport layer security protocol that incorrectly reuse the same cryptographic nonce when data is encrypted. TLS specifications are clear that these arbitrary pieces of data should be used only once. When the same one is used more than once, it provides an opportunity to carry out the forbidden attack, which allows hackers to generate the key material used to authenticate site content. The exploit was first described in comments submitted to the National Institute of Standards and Technology. It gets its name because nonce uniqueness is a ground rule for proper crypto.